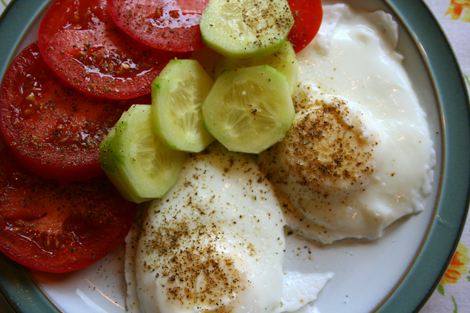 Lunch: tomato, cucumbers & poached eggs. Do you eat them? How do you like yours? I prefer mine omelet style or poached - hard, none of that runny stuff. Hmm, good.